‘Ready Player One‘ has been in progress for some time now with a great cast consisting of Tye Sheridan, Olivia Cooke, Simon Pegg, Ben Mendelsohn and Mark Rylance. 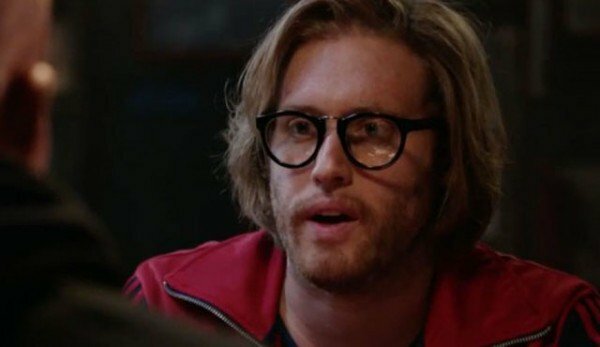 There is a new addition to their ranks with T.J. Miller signing to come on board. Miller made a name for himself with the series ‘Silicon Valley‘ and as Weasel in the big screen production ‘Deadpool‘. Steven Spielberg is directing the project which is an adaptation of the sci-fi novel by Ernest Cline. Warner Bros. and Village Roadshow are prepping the film for a late June start ready for a March 30, 2018 debut. Film centers on a young outcast named Wade Watts (Sheridan). In the near future, Watts escapes from his daily drudgery by logging onto an MMO game called ‘The Oasis’. When the game’s billionaire founder (Rylance) dies, he offers players his fortune as the prize in an easter egg hunt within The Oasis. Watts gets in on the action then after five years finds himself facing off against corporate foes who will go to any lengths to get the money — in both the real world and in The Oasis. Miller will be playing i-Rok, one of the more annoying characters working in the online forums of the game. This entry was posted on Wednesday, June 1st, 2016 at 9:03 pm	and is filed under Books, Film, News. You can follow any responses to this entry through the RSS 2.0 feed. You can skip to the end and leave a response. Pinging is currently not allowed. « ‘Sun Dogs’ Sounds Like a Fun Film and Has A Great Cast!